Himalaya Herbals Nourishing Face Moisturizing Lotion is a light and non-greasy formula that absorbs quickly to give you complete nourishment and daily moisture that your skin needs. Carrot Seed Oil, a natural antioxidant, boosts skin vitality, White Lily, soothes and restores skin’s moisture balance, and Aloe Vera and Almond Oil moisturize and nourish your skin, making your skin soft and smooth. 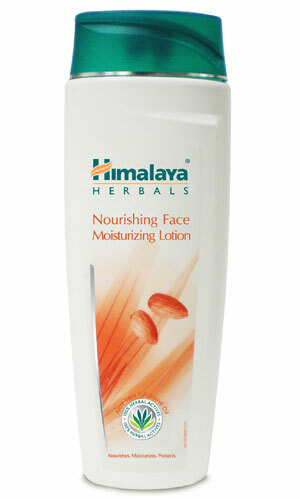 Apply Himalaya Herbals Nourishing Face Moisturizing Lotion daily all over face and neck after cleansing. Massage gently with upward strokes. Use alone or under makeup.